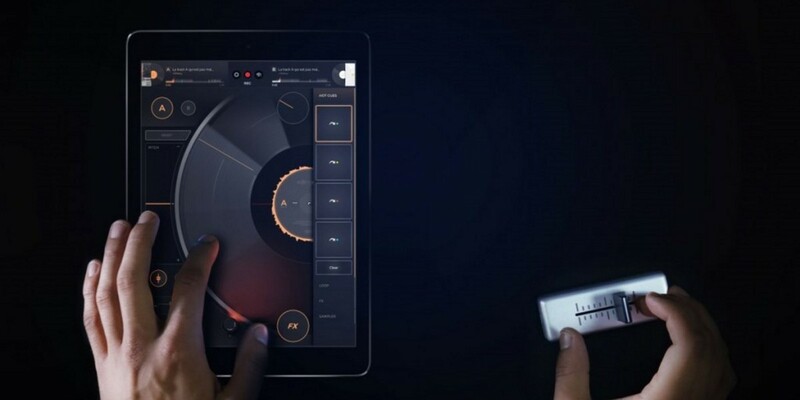 Back in March last year, DJiT, the company behind the popular DJ app Edjing announced it was going to bring a Bluetooth-connected crossfader to market, and then in May a Kickstarter campaign for the device launched with the aim of shipping in November. Needless to say, that timeline fell a little behind schedule, but units are now available to pre-order for anyone who missed out on the Kickstarter campaign and are set to ship in Q1 of 2016. Right now, the Mixfader is $99 to pre-order, but there’s an (unspecified) limited number at this price, after which it will cost $129. It contains tutorials and combines “new technologies that emulate the sound rendering and behavior of real vinyl records” as well as providing access to the 50 million tracks you can find across services like SoundCloud and Deezer, as well as your own music library. Combine that with the news from Panasonic that it was going to re-introduce its iconic SL-1210 turntables and 2016 is already shaping up to be a good year for DJs.